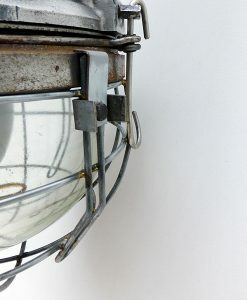 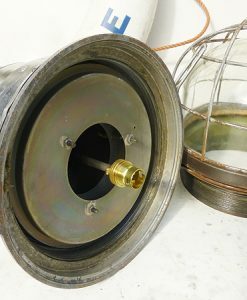 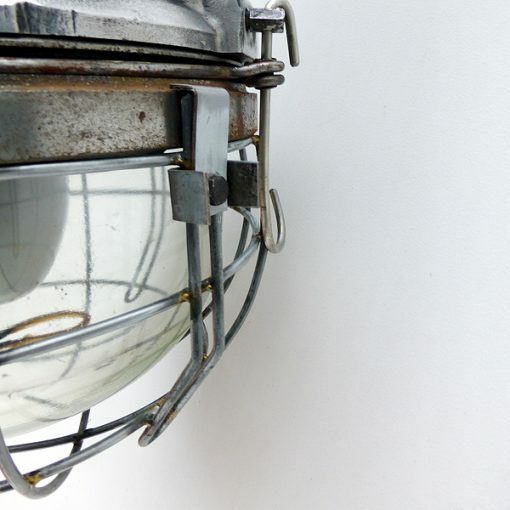 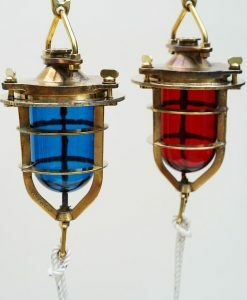 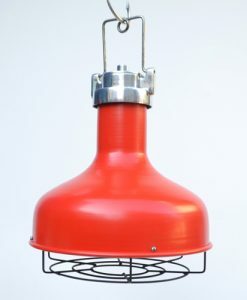 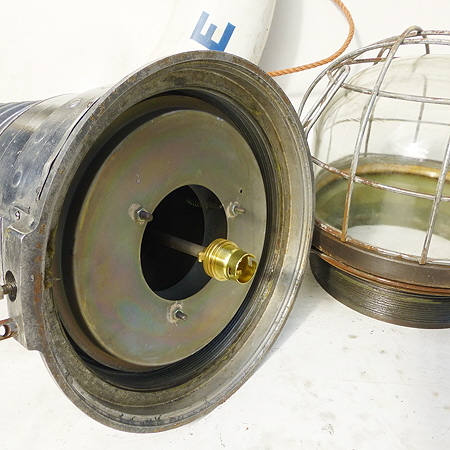 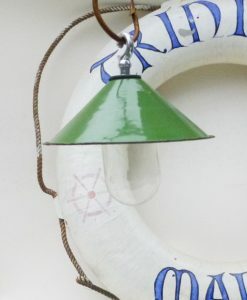 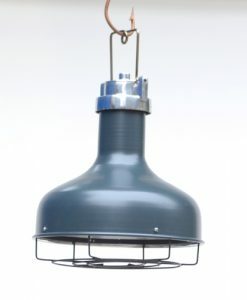 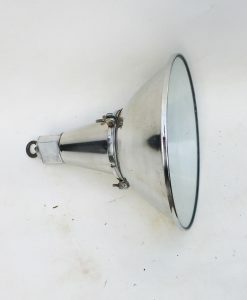 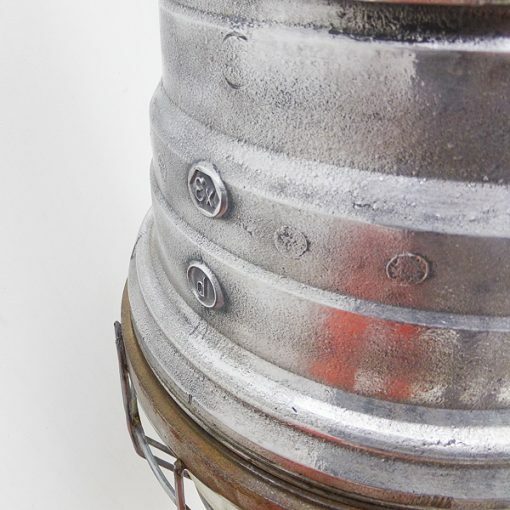 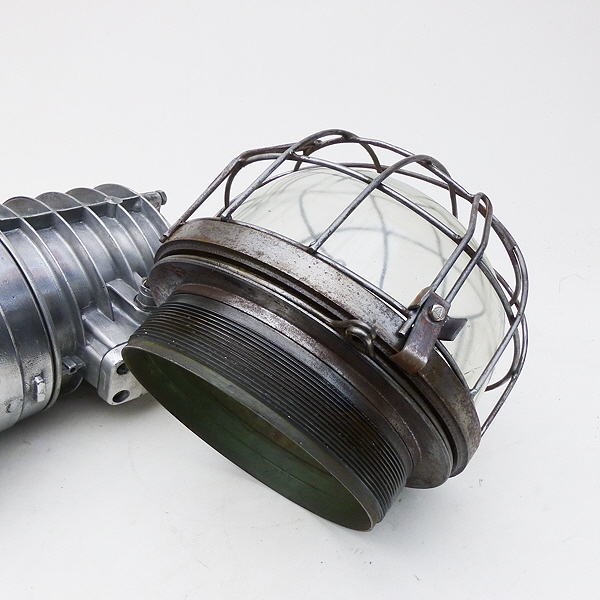 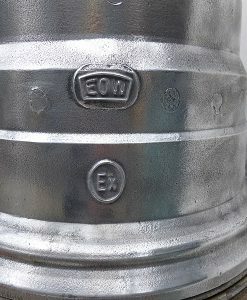 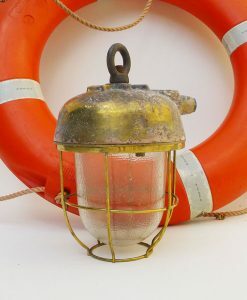 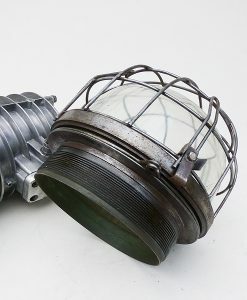 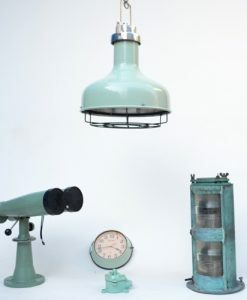 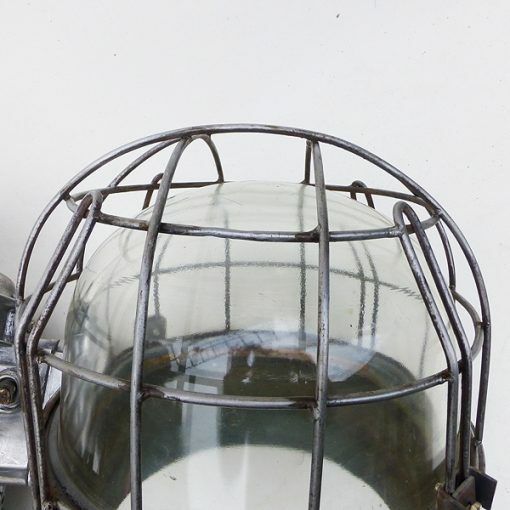 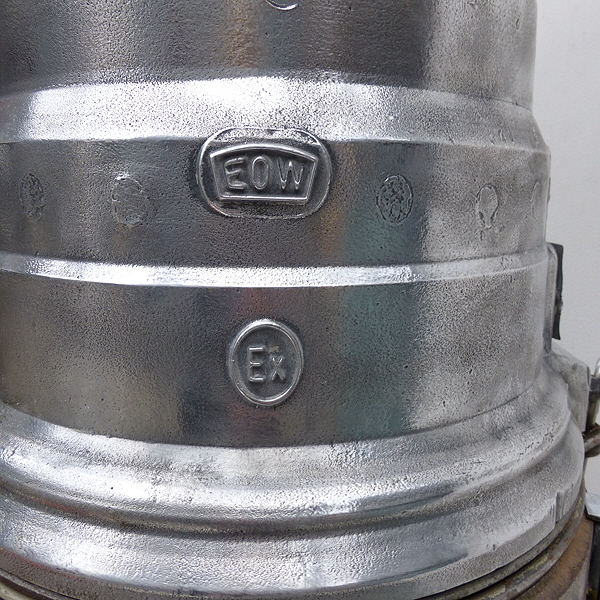 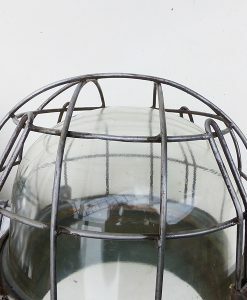 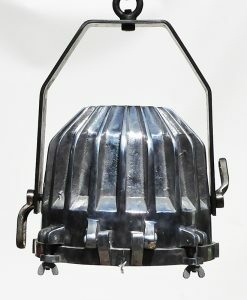 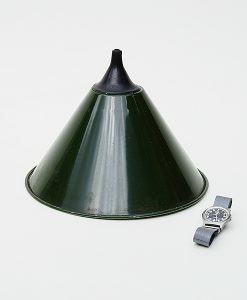 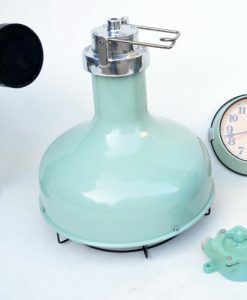 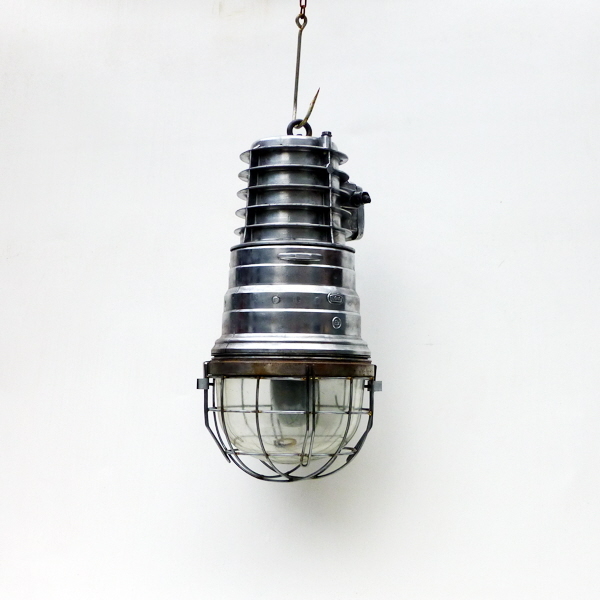 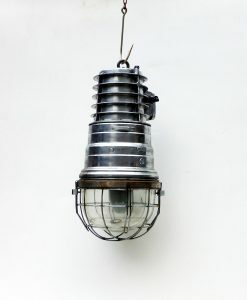 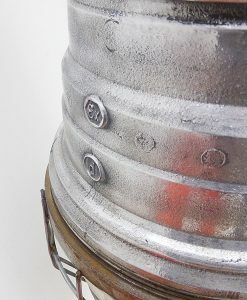 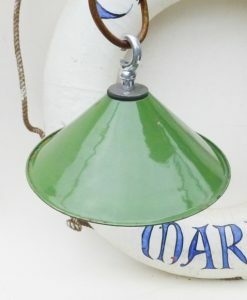 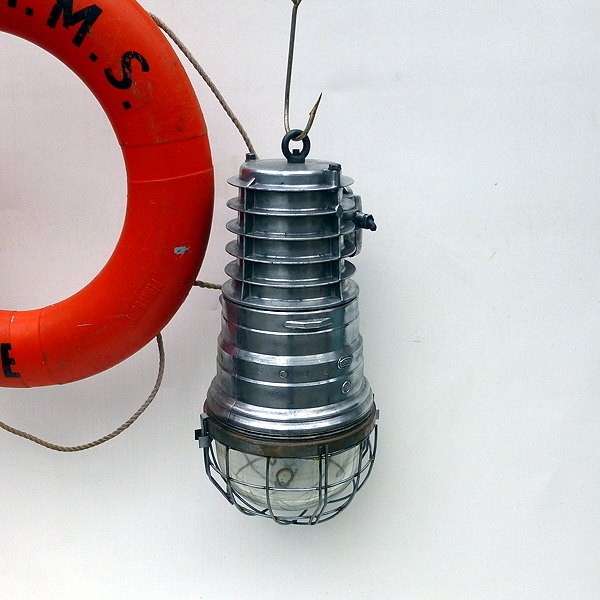 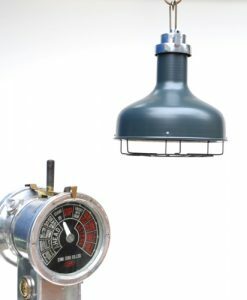 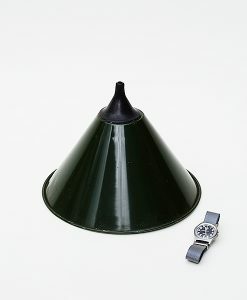 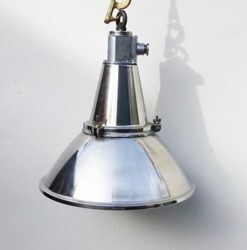 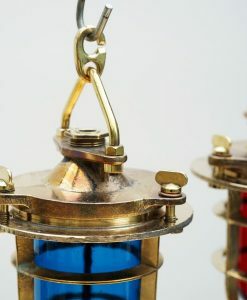 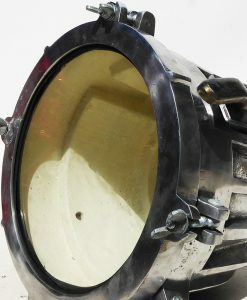 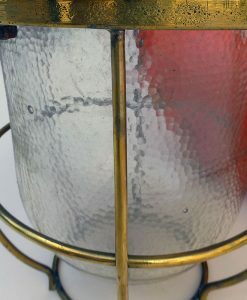 Salvaged industrial extra large German explosion proof pendant lights, made EOW. 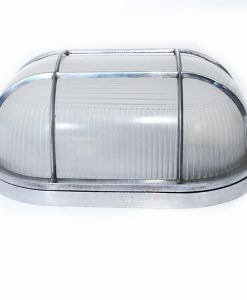 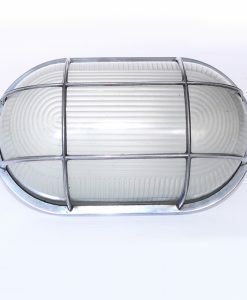 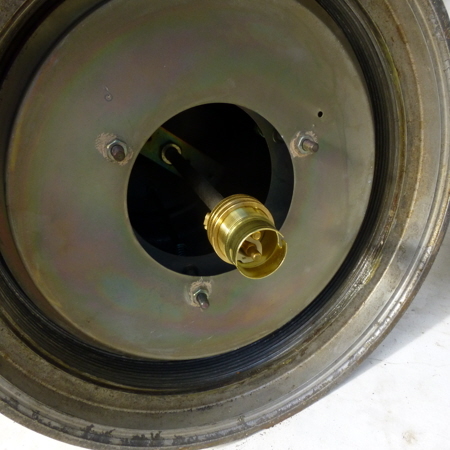 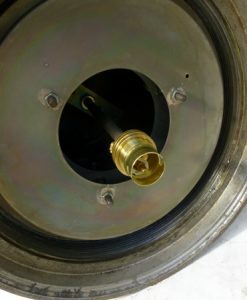 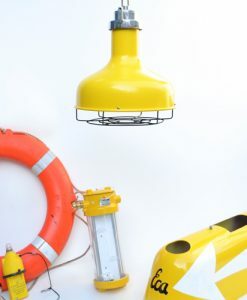 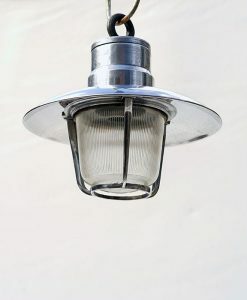 We have improved these lights to certified standard, making them easier to install. 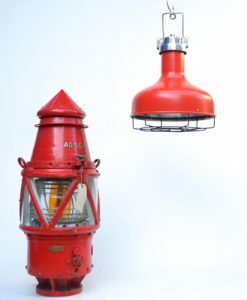 Salvaged from German cargo ships built 1970s. 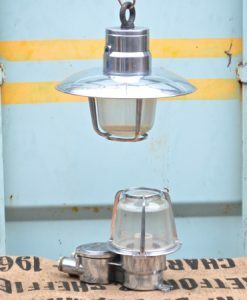 Original heavy duty fitting has been removed and replaced by CE certified B22 or E27 fitting with earthing point on 10mm lighting bar. 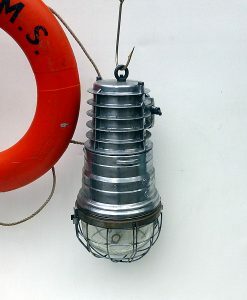 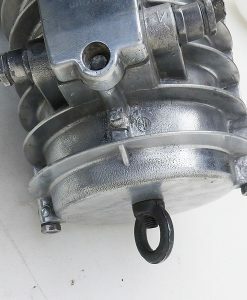 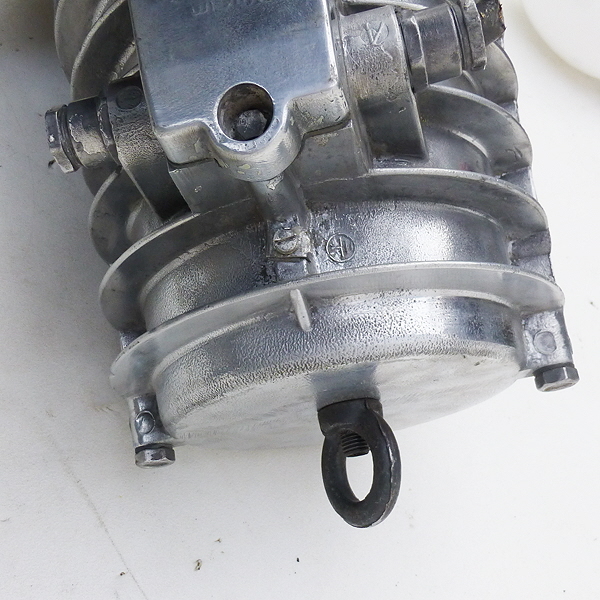 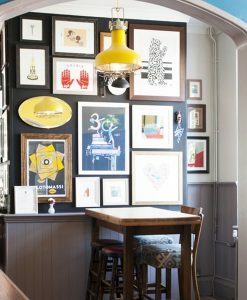 Please note the large hook shown in the photos is not included.